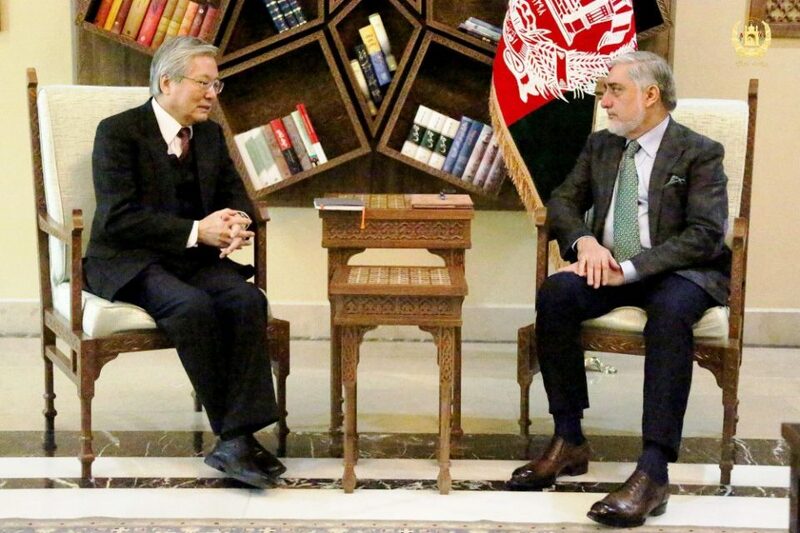 KABUL: Chief Executive (CE) Dr. Abdullah Abdullahmet with Tadamichi Yamamoto UN Secretary-General’s Special Representative for Afghanistan and head of the UN Assistance Mission in Afghanistan (UNAMA) here yesterday, a statement from CE press office said. Pointing to successful organizing of the GenevaConference which was co-hosted by UN and the Afghan government, both sides also discussed ongoing situation and election process, the statement added. CE Abdullah praised UN and international community’s assistance to Afghanistan, saying National Unity Government was committed to implementation of the promises made during the conference. Meanwhile the UNAMA head hinted at successful holding of the Geneva conference on Afghanistan and emphasized on Afghan-led and owned peace talks. He also asked neighboring countries and international community to do more for easing peace process in Afghanistan, the statement concluded. According to another report, Dr. Abdullah Abdullah met with US Ambassador John R. Bass and both sides discussed peace process andpreparations for the upcoming presidential elections. During the meeting, Dr. Abdullah called international community’s single support of Afghan-led peace talks, timely holding of presidential elections and preservation of the achievement as the main reasons behindsuccess of the Geneva Conference.